Frances Hellenberg Service Details - Scranton, Pennsylvania | Miller Bean Funeral Home, Inc.
"Rest well. We love you." 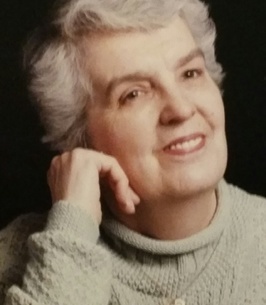 Frances Hellenberg of Scranton died Wednesday October 24, 2018 at the Linwood Nursing & Rehabilitation Center. She was the widow of Howard Hellenberg. Born in Harrisburg, New York, she was the daughter of the late Earl and May Allen Wheeler. Educated in New York schools, prior to retirement she worked various jobs, most recently at the Ramada Inn in Watertown, New York. Frances was a sports fanatic who loved baseball in particular. She enjoyed reading, bird watching, but above all she loved her family, especially her great-grandaughter. Surviving are daughter Thea Peterson and husband Ed, Scranton; son Kurt Hellenberg and wife Lisa, New York; grandson Colby Hellenberg; great-granddaughter Haydon Snyder. She was preceded in death by granddaughter Kate Snyder; sisters Dorothy, Anna, and Mildred. Private Funeral arrangements and on-site cremation services are under the care of the Miller Bean Funeral Home Inc., 436 Cedar Ave., Scranton. To send flowers to the family of Frances Hellenberg, please visit our Heartfelt Sympathies Store. I have known Fran for over thirty years. I have seen her in good times and bad...in good behavior and otherwise. But, I always appreciated her love of crossword puzzles, a good bag of popcorn, and a good ball game. But, I have loved her for the greatest gift of all...Her daughter. For that, I have eternal gratitude. She could laugh and part your hair in the same breath. And she could cook with the best of them, especially her thanksgiving feasts. She is at peace for sure and my prayer is that she is now flying on the wings of eagles. Rest and be well, Fran. And know you are loved. Rest well. We love you.